Come hear the ancient voices that hide among the landscapes of Siurana, legends full of stories of kings, princesses, traitors, prisoners ... An opportunity to revive, with all five senses, the legendary world of this little tale village. Through a rigorous but enjoyable visit streamlined we learn to read and evaluate a landscape, discover what life was like the Saracens in the last stronghold of al-Andaluz in Catalonia, understand how these spectacular mountains were formed, know that impacted advertisements the inhabitants of Siurana in the Middle Ages... And all through the stories of history. We wait for you! 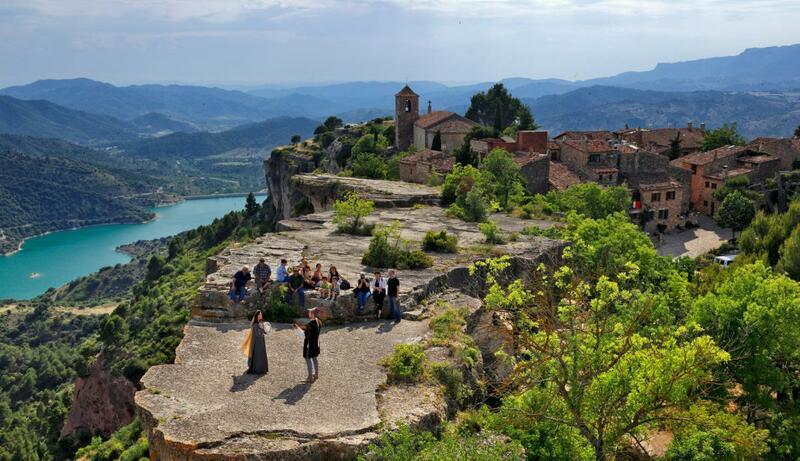 The dramatized tour will allow us to live like a protagonist the legendary world of Siurana. We will travel from the famous legend of the Queen Mora to other stories, fables and more unknown comic. Captives, traitors, troubadours, maidens, saints and kings will be the protagonists of the visit. We will experience the emotions of these legendary characters and feel their heartbeat in a privileged environment. Through a dramatized or dynamic tour (or both! ), students will learn to read a landscape, will discover what life was like the Saracens in the last stronghold of al-Andaluz in Catalonia, will understand how these mountains were formed and will know how advertising messages impacted the inhabitants of Siurana in the Middle Ages. It is an interesting activity to learn an important part of the history of Catalonia in a fun way while rigorous. Dynamic tour: adults 7€, children from 8 to 12 years 4 € and free under 8 years. Dramatized tour: aduls 10€, children from 8 to 12 years 5€ and free under 8 years. All visits are in Catalan or Spanish. If you want an special visit in English, please contact to us and we can try to manage it.